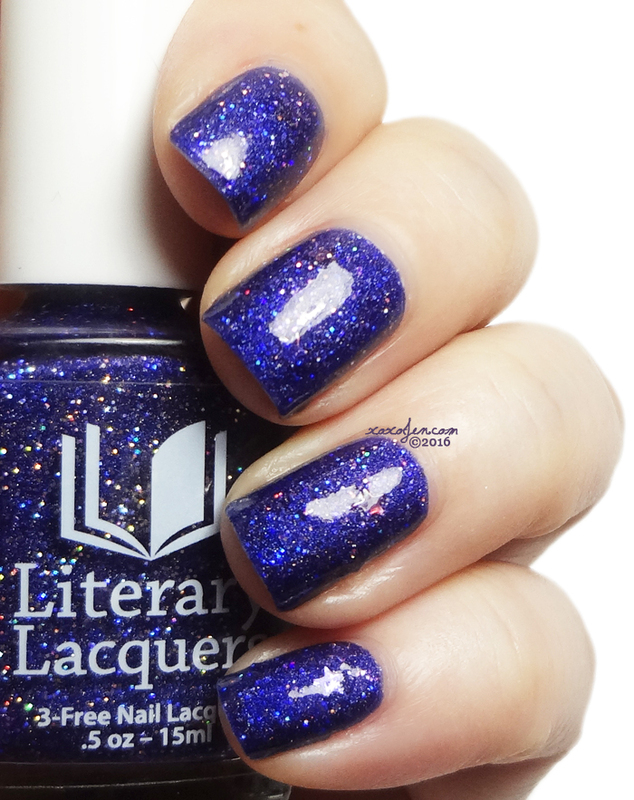 Visions of Sugarplums is this year's limited edition gift with purchase at Literary Lacquers. A $24 purchase total will include a mini size and a $48 purchase total includes the full size bottle. 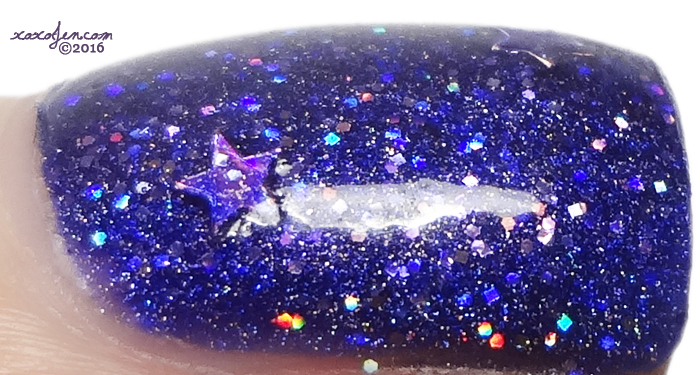 It's a sparkly grapey shade packed with glitter and tiny pink stars! I wore two coats with topcoat for the photos. Amy, having just graduated college, is now studying super hard to pass the four exams to become a CPA. With that she is changing her business model a bit. As of January 2, 2017, the shop will temporarily close. It will re-open for pre-orders with limited stock on the first weekend of each month beginning in February. There will be at least 1 new polish and 5 or 6 classics from the stock revived each month. 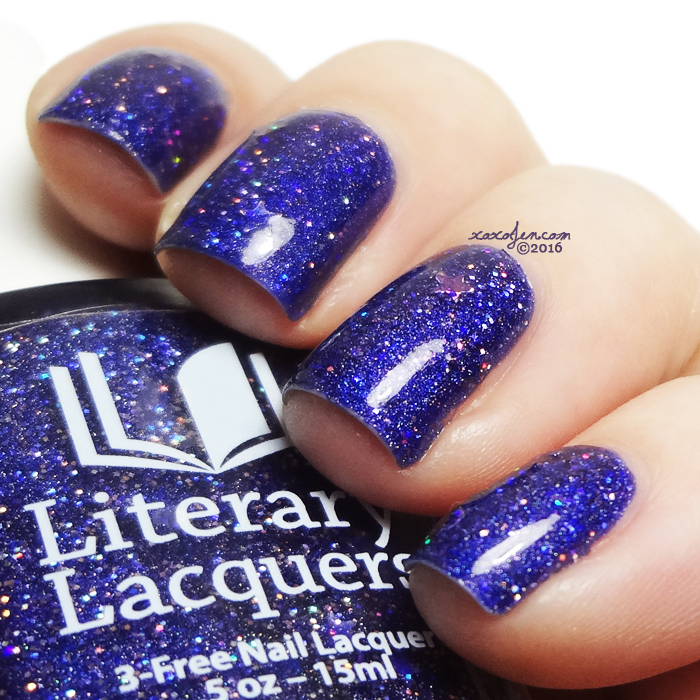 She's also started a newsletter which will include Literary Lacquers launch dates and other information. You can sign up with your email address - easy peasy! In addition, Amy is offering a discount - Everything in the shop will be 20% off with code HOLIDAY2016 from Friday, November 25 - Sunday, January 1. I'm excited for Amy and so happy that she is able to continue LitLaq while also investing in herself and furthering her career. This polish is nice! I like the star glitters in it.